The mission of Crystal Bridges Museum of American Art is to welcome all to celebrate the American spirit in a setting that unites the power of art with the beauty of nature. 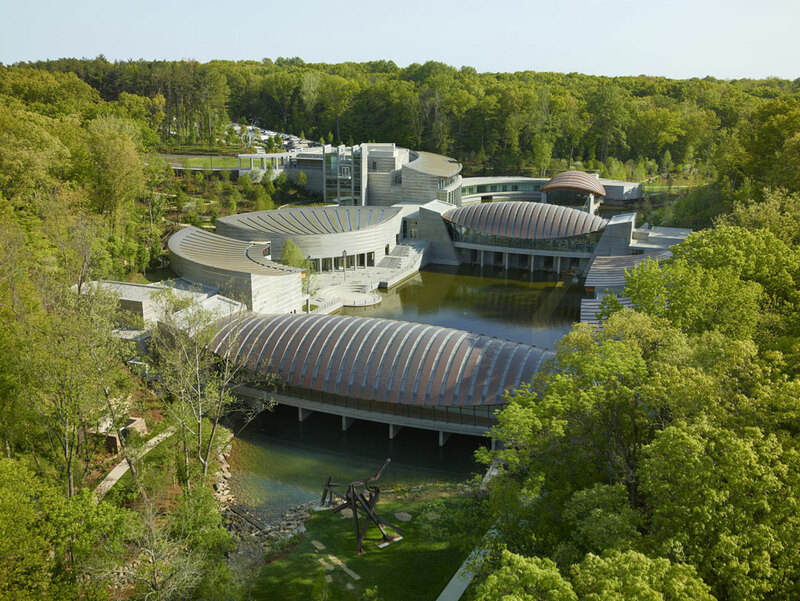 Crystal Bridges takes its name from a nearby natural spring and the bridge construction incorporated in the building, designed by world-renowned architect Moshe Safdie. A series of pavilions nestled around two spring-fed ponds house galleries, meeting and classroom spaces, and a large, glass-enclosed gathering hall. Guest amenities include a restaurant on a glass-enclosed bridge overlooking the ponds, a Museum Store designed by architect Marlon Blackwell, and a library featuring more than 50,000 volumes of art reference material. Sculpture and walking trails link the Museum’s 120-acre park to downtown Bentonville, Arkansas.